On Thursday, November 19th, Dearborn Street will be the site of something amazing! 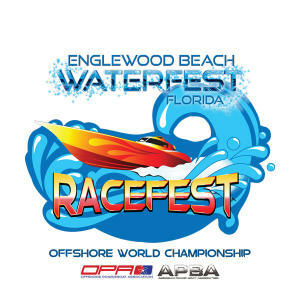 With Racefest kicking off that day, a parade of superboats will make its may down Dearborn Street in Olde Englewood Village. As if that was not enough excitement, the parade will also feature the world-renowned Budweiser Clydesdales. The world-famous Budweiser Clydesdales, the symbol of quality and tradition for Anheuser-Busch since 1933, are scheduled to make several appearances in the area beginning Nov. 18th. The eight-horse hitch will be harnessed and hitched to the famous red beer wagon, the “Gentle Giants,” as they are often referred to, will participate in the Englewood WaterFest Parade, Thursday, Nov. 19th. The Clydesdales’ appearance in Englewood is one of hundreds made annually by the traveling hitches. Canadians of Scottish descent brought the first Clydesdales to America in the mid-1800’s. Today, the giant draft horses are used primarily for breeding and show. The Budweiser Clydesdales can be viewed at the Anheuser-Busch breweries in St. Louis, Mo. ; Merrimack, N.H.; and Ft. Collins, Colo. They also may be viewed at Grant’s Farm in St. Louis and at Warm Springs Ranch, the 300-plus acre Clydesdale breeding farm located near Boonville, Mo. They can now be viewed in Englewood, Florida from November 18th through the 23rd. Watch for more information on the schedule and locations for these beautiful horses… but plan to be on Dearborn Street on the 19th!